The international standard DIN ISO 17359  contains recommendations on the development of the process called ‘machine condition monitoring’ (see figure 1). In the selection of diagnostic features for rotating machines, vibration measurements are key. Both for the feature extraction and the selection of the diagnosis method extensive expert knowledge can be accessed . In order to facilitate the vibration-diagnostic assessment of machines, detailed interpretation tools based on practical examples are available . We can provide you with the complete process or with subsets of it. Depending on your needs, the process can take place manually or automatically. 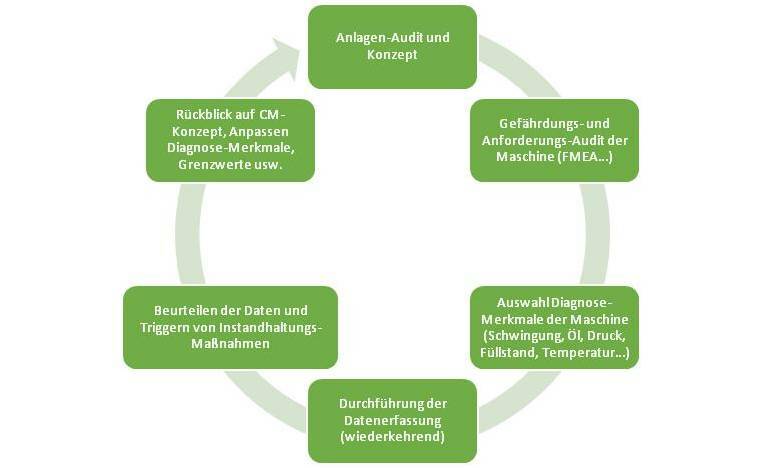 As active part of the industry 4.0 philosophy, we are able to equip your machines and systems at the factory in such a way that they can recognize developing faults or damages autonomously, subsequently informing the operator by notification. 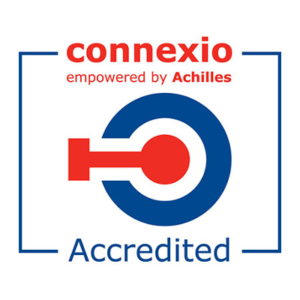 We are “Certifited Vibration Analysts – Category 3” according to ISO 18436-2. 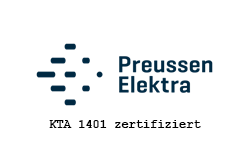 Our company is certified to ISO 9001:2005 and the German nuclear quality standard “KTA 1401”. We have proofed excellence in condition monitoring in multiple German nuclear power plants.